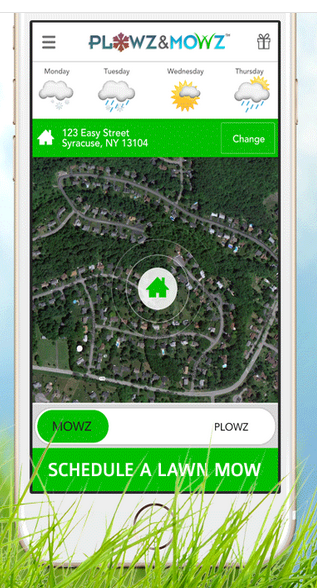 Relieving us from unwanted chores, Plowz & Mowz On Demand Snow Plowing and Lawn Mowing gives homeowners back their leisure time in a tap. Founded by Wills Mahoney and Andrew Englander in the winter of 2014, this Central New York Startup has already become a national brand. In a recent interview with Tony Kershaw of Startup Grind Syracuse, Mahoney explained how he came up with the idea that's taking the nation by storm - his mother! "We had one of those snow storms that was way too much...she's like call whoever you know and see if you can get someone to plow out my driveway. I'm calling everyone, nobody's picking up their phone. Meanwhile there's plow trucks driving by her house and I'm saying, hey, this is a missed opportunity for revenue for these providers and meanwhile my mom can't get out of her driveway," said Mahoney. Kicking off the venture with eight plow trucks in Syracuse, New York, Plowz & Mowz now extends to nearly 40 markets nationwide, providing revenue for thousands of professional snow plow drivers and landscapers. Plowz & Mowz has also received national press attention by NBC Nightly News, Mashable and Bloomberg Business. "All the local news stations would say there's gonna be a foot of snow and how are you gonna get out of your driveway, well there's an app for that! And the night before a snow storm when you're on the 11 o'clock news you're gonna get thousands of customers signing up," said Mahoney. In addition to the media attention Mahoney credits Plowz & Mowz success to three things: savvy Internet marketing, partnering with a hands-on investor who provides mentorship when needed, and selecting the right team. "I made a really smart decision of picking guys who are really capable and had an extensive background," said Mahoney. "If you have the right people you're going to go so much farther." Another tip Mahoney shared with aspiring entrepreneurs is to hold onto as much equity as possible. If you have a billion dollar idea, keep it close to your vest. This way when it comes time to raise more funds to support your vision, you'll then be in position as the majority partner to seek our additional investors. How it Works -> Download the Plowz & Mowz Mobile App available on the App Store, Google Play or order Mowz from your desktop. 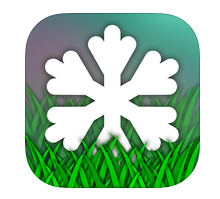 Now schedule snow plow or lawn care services by clicking the button on your app. The Plowz & Mowz team will assign an insured provider to your home based on your requested time and location. Once the job is complete Plowz & Mowz will bill your credit card, invoice and tip free. Lastly, you'll receive a photo of your plowed driveway or freshly mowed lawn. If you're interested in working with this thriving startup company or becoming a service provider, connect with the Plowz & Mowz team at here. The average Plowz provider makes over $1200 during a storm, while the average Mowz provider earns an extra $620 a week. Providers are paid within 24 hours, and have free access to GPS Fleet Management. NEXT -> Get involved with the tech startup community while supporting outreach and education services throughout 19 counties of Central New York and beyond. Become a member of WCNY and receive great benefits, including special access to productions like SciTech Now. You can even get your startup recognized on-air or at events! Start here.